3 Fast and Effective Ways to Restore a Chipped Tooth and Improve Your Smile! A chipped tooth can impact the aesthetics and functionality of your smile. Thankfully, there are 3 ways to be restored. An added benefit is that each procedure requires only a short treatment process to complete. Read on to learn what your options are and their benefits! One of your options for restoring a chipped tooth is the dental bonding method. The procedure relies on the usage of a tooth-colored, compound-resin material that is added directly to the disformed tooth. The dentist will then shape the material so it will blend perfectly with your existing smile. Then, a special light will be used to harden the resin, leaving you fully restored in just one dental visit. Another way to respond to a chipped tooth is to have porcelain veneers placed. The razor-thin ceramics are custom-designed and fabricated to fit directly over your teeth. A thin layer of enamel is first removed. While the results are sent to a professional ceramicist to create the final fixtures, you’ll be fitted with a temporary set of veneers. When they’re ready, you’ll return to your dentist’s office to have the permanent shells affixed. Once they are bonded to your teeth, your dentist will then shape and shade the veneers to ensure you have the most realistic appearance possible. In just two-to-three visits, your smile will be beautifully-revamped. If a tooth chip is too severe to be repaired with either the dental bonding or porcelain veneers treatment methods, then the placement of a dental crown may be recommended. A porcelain fixture, the tooth-colored crown first requires that the existing tooth be shaped so the new restoration can be bonded in place, leaving you with a natural-looking set of ivories. In times past, patients were forced to choose between functionality and aesthetics. With the new innovations in dentistry, as evidenced by the above procedures, there are now ways to enjoy the best of both worlds! Before any work is done, your dentist will first examine your tooth to determine which process is best suited to accommodate your specific needs. Then, with your tooth restored, you’ll be able to chew your food evenly, which spells improved digestion. 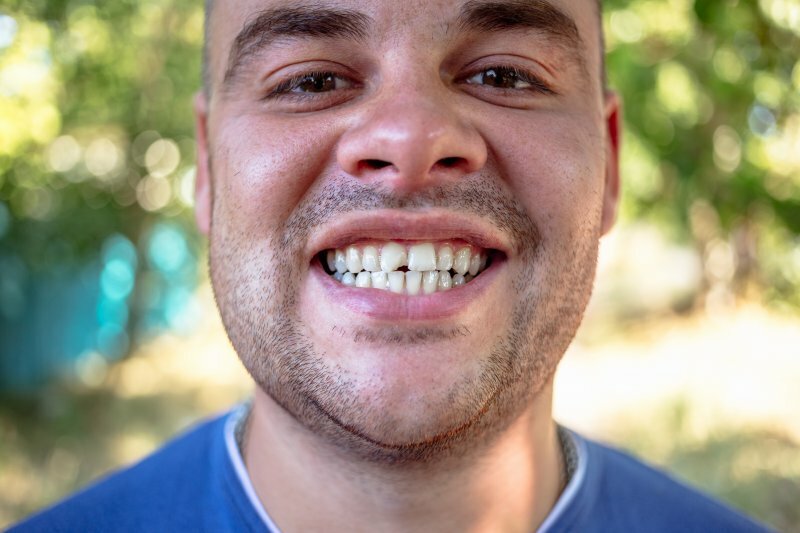 Another benefit of having your chipped tooth repaired is that it better prevents any unnatural wear, which could eventually leave the tooth further weakened. To find what which option is best for you, contact your dentist to schedule an appointment today. For over 40 years, Dr. James Greer has been dedicated to helping every patient who enters his practice experience the best in oral health. The University of Texas at Houston graduate maintains membership in several professional organizations, which include the Texas Dental Association and the Academy of General Dentistry. Dr. Greer’s commitment to excellence and his ability to remain current with the latest breakthroughs in dentistry, help him effectively restore chipped teeth at his private practice. He can be reached for more information through his website. Comments Off on 3 Fast and Effective Ways to Restore a Chipped Tooth and Improve Your Smile!